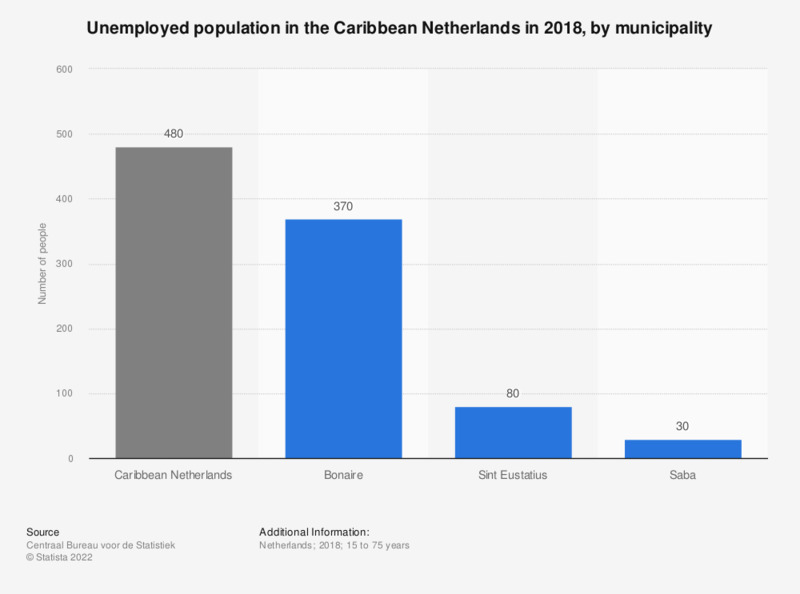 This statistic displays the unemployed population in the Caribbean Netherlands in 2016, by municipality. In 2016, approximately 900 people between 15 and 75 years old in the Caribbean Netherlands were unemployed. The majority of these unemployed people lived on the most populated island of the three, Bonaire. On Saba, the least populated of the islands, only 30 people were unemployed in 2016. Caribbean Netherlands: Bonaire, Sint Eustatius and Saba are special municipalities of the Netherlands.